I originally wrote this post in 2015 and thought it needed an update, so here you are. Dear administrators, whether principal, coaches, or anyone else who supports reading education outside of the classroom. 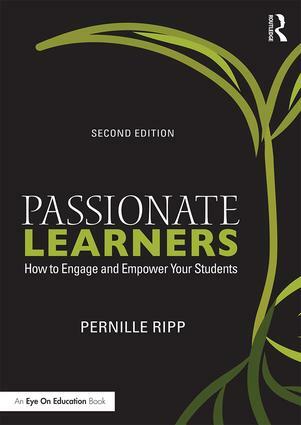 I have been pleading with teachers for a few years to please help students become passionate readers. I have given as many ideas as I could and directed toward the great minds that inspire me as well. I have begged at times, sharing the words of my students as proof that we teachers have an immense power when it comes to either nurturing a love of reading or killing it. There are so many things we teachers can do that will have a lasting effect. I even wrote a book compiling all of the lessons my students taught me when it came to creating a passionate reading community. Discussing, learning from, and teaching other educators has been a part of my journey for many years now. And yet, within my travels of teaching others, I am constantly reminded that it is not just the teachers that have an immense power over whether children will read or not. That it turns out that much of that power also lies within the realm of administration. 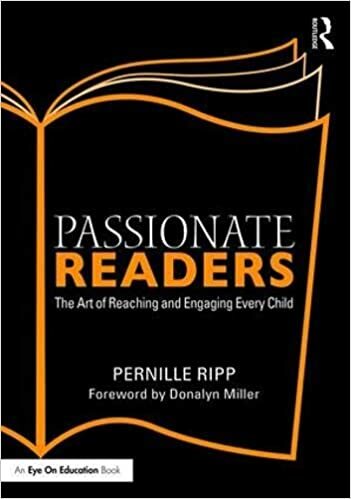 In fact, one of the most oft-repeated statements I hear when teachers struggle to implement common sense reading components such as independent reading time is that their administrators do not support it. Yet, I also hear of how many of you, administrators, are doing incredible things to create schools that are seen as literacy communities that cherish the act of reading and becoming readers. And so I write this post to share some ideas that have been shared with me so that others, in turn, may grow in their craft. So that the pursuit of a passionate reading community can truly become a community endeavor and not just lay on the shoulders of solitary educators who are trying. What are they doing? What can you do to foster a love of reading school-wide? You can believe in choice for all. That means protecting the rights of students to read the books they choose. To help staff support this as well by speaking about choice and making sure not to put restrictive policies in place that will hinder a child from developing their own reading identity. That will stop a child from choosing a book they want to read. Teachers should not be the only ones choosing books for students, please don’t put them in that position. Instead, they should be working with students to learn how to self-select great books based on many things, not just their levels, lexile or other outside measures! You can promote meaningful work. For too long, packets, projects and one process for all have dominated the reading landscape. And yet, if we ask students what turns them off from reading they tell us loudly and clearly that often it is the work that is associated with reading, not the reading itself, that pushes them away. So look at what is attached to all of the reading students do. Start conversations with staff about the literacy work that is contained within their classroom. Ask the students about the reading programs they are involved in and then change your approaches based on their words. We cannot change if we don’t ask the questions first. You can buy books. Research shows again and again how vital having not only a well-stocked school library but also a full classroom library is to students becoming better readers. Students need books at their fingertips, not far away, and they need high quality, high-interest books that not only mirror their own stories but also provide windows and sliding glass doors to learn about the stories of others to quote Dr. Rudine Simms Bishop. This requires funding, so please allocate money every year to provide more books for your teachers. Before you purchase an expensive program to teach reading or more technology, please make sure that books have been purchased as well. You can fight to have a librarian full-time in your building. Everywhere we are seeing libraries that have no librarians, yet a knowledgeable librarian can be the lifeblood of a reading community. I know budgets are being slashed, but the librarian should be seen as a necessity in schools, not as an unnecessary privilege. They are another reading adult that helps support the work of everyone in the school. You can celebrate books read. Not the number of minutes logged or the points gained in computer-based reading programs. Not just those who reached an arbitrary goal set by an outside force. How about keeping a running tally of how many books students self-selected to read and then finished? How about you keep a display board of all of the picture books being shared in your school, yes, even in middle school and high school? How about every child is celebrated for reaching a goal that they set themselves? In fact, at the end of the year think of how powerful it would be if every single student gave themselves a reading award based on whichever milestone accomplishment they have reached. Celebrations should not just be for the few, they should be for all. Celebrate the right things, not the ones that can kill a love of reading. You can protect the read aloud. When schedules are made there should be time placed for reading aloud. This should not be seen as a frill, nor as something that would be nice to fit in if only we had more time. All students at every age should encounter an adult that reads aloud fluently with expression to them every day. It develops their minds as readers and creates community. This should not just be reserved for special times in elementary school but should be protected throughout a child’s reading experience in school. You can promote independent reading time. Students reading silently is not time wasted, it is one of the most important investments we can make in our school day for any child, any age. If you want children to become better readers, then give them the time to read. So ensure that every child has at least one class period where independent, self-selected reading is supported and protected. Often, this is the first thing to go when we plan curriculum especially when students are older, as we assume they will do it outside of school, yet reading statistics shows us this is not true. Therefore, we must plan, implement, and protect it during the school day for every single child. You can hire teachers that love reading. And not just in the English department. I am amazed that there are teachers who teach literacy in any capacity that do not identify themselves as readers. This should not be happening. Years of experience shows that students will read more if we read as well and are able to create a book community where our love of reading is a cornerstone of what we do. Even when I taught non-literacy subjects, even when I taught science, the fact that I read for my own pleasure meant that our conversations were deeper, more engaging, and the students trusted me as a reading role model. Plus, how powerful to have students learn within a community of adult readers. When they can see every adult as someone who values literacy? You can use levels for books and not for children. Too often the levels that a child reads at becomes their entire reading identity. Yet, that level is meant to be a teacher’s tool and not a child’s label to quote Fountas and Pinnell. That level should be a part of that child’s reading identity but not the thing that defines them. We should not have policies in place where students can only choose books that are at their levels, but instead, have policies that promote exploration of texts so that students have a natural chance to figure out who they are as readers. Confining them, even if meant to be helpful, will hurt them in the long run. And this includes leveling our school libraries and classroom libraries, a practice Fountas and Pinnell are against. You can discuss students as individuals, not as data. Oftentimes, programs are purchased that support reading development that spits out a lot of data. And yet, as we are inundated with data we often lose sight of the child itself. We start to casually label children as struggling or low readers and then don’t question how that label ends up identifying the child. So be critical responders to the data you receive and keep the child at the front of the conversation, not the back. One idea for this comes from Dr. Mary Howard, who encourages us to always have a picture of the child we are discussing in front of us so that we remember the whole child and not just the data points. You can support challenging texts being used. In order for teachers to truly create an inclusive library that mirrors the lives of all of our students, we need books that represent all of their stories. That means we need age-appropriate books about gender identity, racism, abuse, sexual identity, religious discrimination, and other harder topics. Yet, in many districts teachers are not protected when it comes to placing these books in the hands of children. This creates a dangerous vacuum where only certain stories are viewed as normal, which can lead to an increase in intolerance and hate. Establish a policy of tolerance, empathy, kindness, and understanding of others and apply it to the books that are in your school. Support teachers if a book is challenged. Understand the urgency of these stories being present in the classroom so that we can create a more understanding world. You can support and promote the need for two types of reading experiences. For too long we have focused on the development of reading for skills, not for the love of reading. Yet, we need both types of experiences in order to fully develop as readers. Actively support your teachers in creating both types of reading experiences within their day and create a community-wide discussion of how to promote liking reading more, not just which lessons are needed to further their reading skills. You can build a school-wide reading community. Celebrate books together, have book announcements, book giveaways, and have every staff member have a “just read” poster outside of their classroom or office. Give out book recommendations to students as you see them. Pass out books to those who need them. Host book clubs for staff and parents. Highlight the readers in your community and yes, highlight your own reading. You can have tough conversations. Part of my job as a teacher is to grow and learn and while I think that most of my ideas are solid, I wish an administrator would have questioned me when I had students do reading logs and forced book reports a few years back. While the push-back may be hard to swallow, it certainly would have made me think. However, within those tough conversations, please do listen to the teacher as well. What are they basing their decisions on? Perhaps they are the ones who are right, perhaps not, but ask the questions and keep the bigger goal in mind; students who like to read! What else can you do to create a school where the love of reading flourishes? You can be a guest read alouder. You can have books in your office for students to read. You can share your own reading life by displaying your titles outside your office. You can make assemblies and other fun events that celebrate literacy. You can bring in authors. You can promote reading literacy projects like The Global Read Aloud or Dot Day. You can ask students what they are reading whenever you see them. You can institute school-wide independent reading time. You can speak out against poor literacy decisions being made within your district. You can ask your teachers for ideas on how to grow as a reader leader. You can ask your students what they need and then implement their wishes when possible. You can ensure that your most vulnerable readers are placed with the best teachers. You can promote the use of picture books at every level. You can support new ideas within literacy practice, even if they fall outside of a program you may be implementing. You can keep fidelity to the kids, and not the program to quote my incredible assistant superintendent, Leslie Bergstrom. You can provide audiobook subscriptions. You can actively develop your own reading identity and then share that journey with others so that they can see that there is not just one way to be a reader. You can reflect together with your staff on what may be hindering the love of reading from growing and then do something about. You can believe that every person is a reader on a journey. You can send your teachers to professional development with the likes of Kylene Beers, Cornelius Minor, Sara Ahmed, Kate Roberts, Donalyn Miller, Penny Kittle, Kelly Gallagher and any other of the incredibly talented literacy experts that inspire us all. There are so many things that fall within your realm, please help us teachers (like my principal Shannon Anderson does) protect the love of reading that students have and nurture it as we teach. You can choose to create passionate reading environments or you can support decisions that smother them. The choice is yours. Thank you for the another great insight into what it takes to create a community of readers. I would like to share some things we have done in our school that teachers and students have appreciated. We do a school wide read each year to generate excitement and community around reading. We also participate in the Global Read Aloud and hold a March Madness Reading Bracket. Grant money is used to send every child PK-5 home with a gift bag of six books for summer reading. This year we also allowed students to check out five books for the entire summer. As the elementary principal, I visit every classroom at least four times to share a read aloud. Next year, we will be implementing a Birthday Book where every student chooses a book on his/her birthday. Can you tell me more about your March reading bracket? Amazing post! Thank you Pernille. So much to think about, so much to digest here, so much to take away and have a go at implementing. Powerful words! While I am not an administrator, I am a teacher and these words serve as motivation! I have made it a goal to build more passionate readers. These tips will go a very long way toward helping me to achieve this goal! Thank you!